While training is critical to improving your physique, you won't get there without a proper meal plan. This potent triple stack from Dymatize covers all the bases to guarantee your body gets the nutrients it needs, when it needs them most. 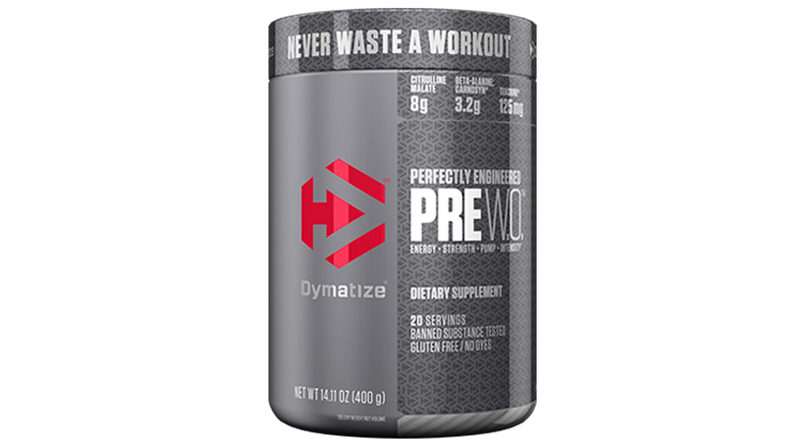 Dymatize PreW.O. is formulated with high-potency ingredients including Citrulline Malate, Beta Alanine, Teacrine®, and Nitrosigine to support super-intense training sessions. Mix it up with some water and drink 15 to 30 minutes before you hit the gym. Engineered to deliver energy, strength, pump, and intensity, PreW.O. will help you reach your goals and make every workout count. To be able to hit the gym day after day, you need to give your muscles the tools to recover. 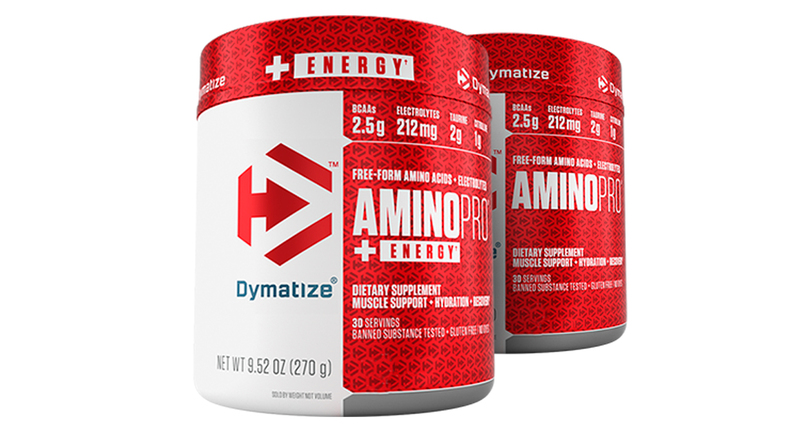 Dymatize AminoPro can be taken before, during, or after a workout. The high-quality amino acids including BCAAs provide muscle support during intense workouts and throughout the day. And the electrolytes help keep hard-working athletes hydrated. Also keep in mind AminoPro +Energy which comes with caffeine for a boost of energy when you need it. 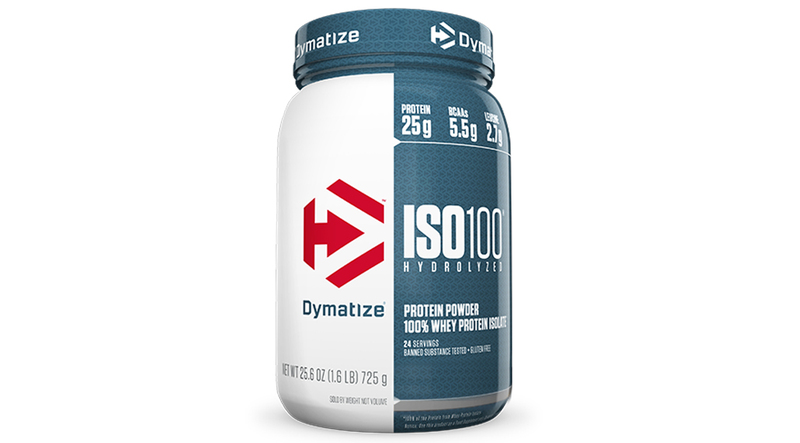 Dymatize ISO100 is the perfect protein for you. Each serving delivers 25g of fast-digesting hydrolyzed 100% whey protein isolate, 5.5g of BCAAs, 2.7g of Leucine, and not much of anything else. It is free of gluten and lactose, with only 1g or less of sugar and fat. ISO100 quickly replenishes amino acids, making it ideal to use throughout the day, such as first thing in the morning or right after an intense workout to aid in muscle recovery. For more information on Dymatize, please visit Dymatize.com. These statements have not been evaluated by the food and drug administration. These products are not intended to diagnose, treat, cure, or prevent any disease. The information provided is for informational purposes only and is not intended as a substitute for advice from your physician or other healthcare professional. Consult with a health-care professional before starting any diet/nutrition, exercise, or supplementation program.